Negan Walking Dead Jacket. 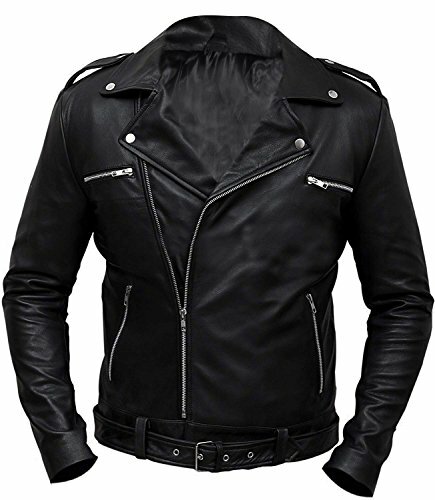 This is a black jacket manufactured in synthetic or genuine leather material inspired by Jeffery Dean Morgan who played the role of Negan in Walking Dead TV Series. If you have any questions about this product by CHICAGO-FASHIONS, contact us by completing and submitting the form below. If you are looking for a specif part number, please include it with your message.